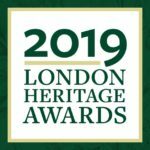 You are invited to join us for at this gala reception for the 12th Annual London Heritage Awards. To individuals in the fields of education, awareness or advocacy. Projects that have conserved built heritage. For more information about how to submit a nomination, please visit our blog here. © 2018 Heritage London Foundation. All Rights Reserved.